See scan - perfect condition. All three medals come with original ribbons and original ribbon bars. 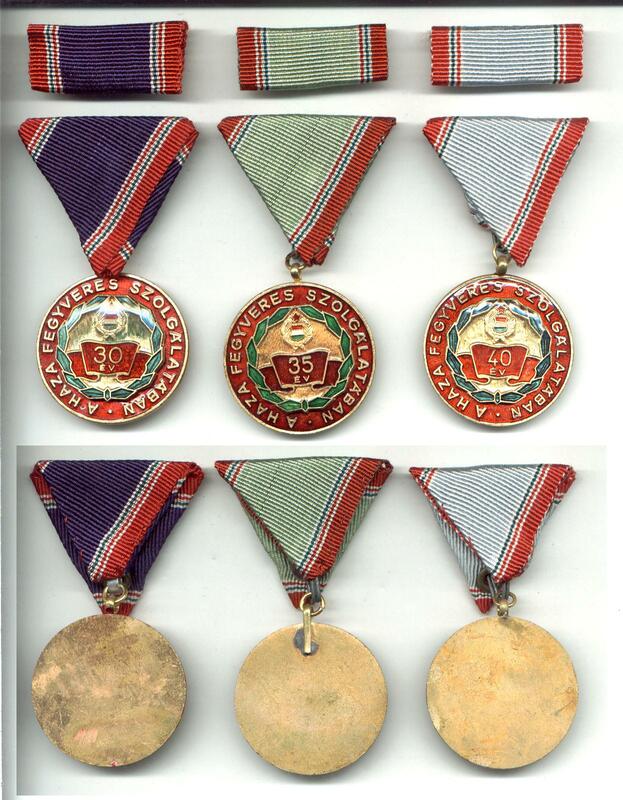 This is a nice set of 3 Hungarian communist / socialist era Perfect Service and Military Merit medals awarded for long service - the 3 rare types of 30, 35 and 40 years of service. Perfect enamel work. Nice military / militaria collector group and some of the nice Hungarian medals.